Interview with Maribeth | Sacred Grove: Intuitive animal communication & energy healing; Alexandria, VA. I am an intuitive animal communicator. I connect telepathically with animals to allow people to have a two-way conversation with them. It is not a physical connection. I share what I receive from the animal with his or her people. And I share with the animal whatever their people would like to communicate. I ask for a picture to assist the connection. Then I enter a specific brainwave frequency that allows me to connect and communicate with the animal. I receive pictures, emotions, physical sensations and even memories from the animals. I have full conversations with animals who are in a relationship with humans. I share people’s emotions, thoughts and requests with their animals. Regular physics won’t explain it, that’s for sure. There is a reality where we can communicate outside time and space. That’s where intuitive communication occurs. The best explanation I’ve found for intuition is quantum physics, string theory and particle-wave theory. They study subatomic particle behavior. 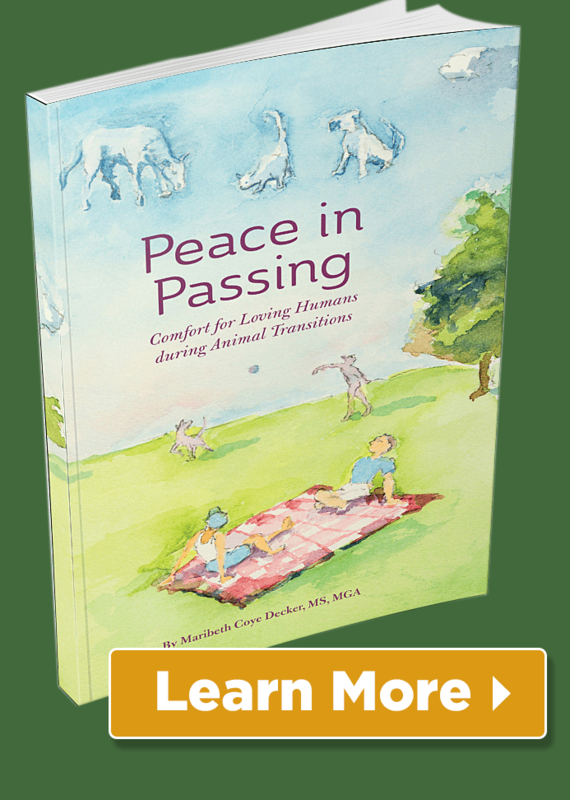 I talked a bit about this in my book, Peace in Passing: Comfort for Loving Humans during Animal Transitions. Most of us have had intuitive experiences. A very common experience is when someone calls us and we’ve said, “I was just thinking of calling you!” What happened? Coincidence? Maybe. Or maybe they picked up on our thought intuitively. How did you know you were able to communicate with animals? Sadly, I didn’t come out of the womb talking to animals! Around 2007-2008, when I became a Reiki Master (a form of gentle energy healing), my dogs started communicating with me. But I wasn’t listening; I thought it was my imagination or it was interesting but not significant. Tibor helps me discover my gift? Then we found Tibor who had numerous fear/aggression issues. Every time I sat next to Tibor, I got the image of a German Shepherd attacking a man wearing thick padding – it reminded me of pictures I saw of attack/guard dog training. I was determined to find out what was going on. That’s when I found out animal communication was a “thing” and I could learn how to do it on purpose. I was hooked! Do you speak to all animals or do you specialize in any species? The ability to communicate intuitively is possible with all animals. However, wild animals have their own lives and truly, aren’t usually paying attention to us unless we do something that impinges on their life. They see us as part of the environment, not part of their community. They don’t EXPECT us to initiate communication. But it’s possible to communicate with them. I’ve successfully communicated with my nephew’s caterpillar and my mother-in law’s shingles virus. I participated in a 3-day workshop communicating with wildlife in sanctuaries. Mostly I work with cats, dogs and horses because their humans want to communicate with them. And we have an easier time because they want to communicate with us. If you think about it, we are already communicating with the animals in our family on some level. I just help people communicate more effectively. Are you a dog trainer or animal behaviorist? Nooo, not even close. Watch me walk my dogs sometime and you’ll know I’m not a trainer or behaviorist. I don’t read animals’ body language. I actually prefer doing sessions remotely rather than in person. It’s easier to obtain and share information without distractions. Do you hypnotize the animal? No, I don’t know how to hypnotize anyone! We just connect and communicate telepathically. Why do people contact you? The animal’s behavior is worrying or frustrating the human. It would make the human happy when the behavior changes. Examples include elimination in the wrong place, aggression, anxiety-induced destruction, refusing medical treatment (a feral miniature donkey), throwing the rider off their back (horses), excessive barking. View more examples on the SOS page. When animals and humans discuss the behavior, it can improve. People want to prepare their animal for a change in the family routine – going on vacation, animal scheduled for surgery, a new person (baby or other family member) or a new animal is coming into the family. Or a family member is leaving to a forever home or will be passing on. This helps reduce the animal’s stress due to wondering what’s going on. The person wonders if the animal is ready to transition, wants to know how they’re feeling, wants to tell them about the transition and see if they have any requests. This helps them feel more peace about the decisions they have made and helps animals let go of the body more easily when the time comes. They want to see if their animal is OK in the afterlife, so they can let go of some of their grief. Does one session fix everything? It’s unrealistic to ask your animal to be perfect at all times. You will be disappointed if you hold them to a higher standard than you would hold yourself. I can’t exactly say, “they’re only human,” but you get the idea. Allow for personalities and peculiarities in animals as well as people and you’ll be much happier with the results. Many clients see enough progress or receive enough benefit that one session is enough. Still, sometimes one session is not enough. Quick fixes for animals’ chronic issues are rare just like for us humans. Here are some of the reasons people choose to do more than one session. You find that each of your animals needs focused attention, communication and healing. Remind them what behavior you would like to see. Animals “fall off the wagon” too. Clear the animal’s deep-seated emotions and beliefs that keep them from changing their behavior. Clear YOUR emotions and beliefs about the situation because they’re getting in the way. Once that’s done, we have much greater success clearing your animal’s emotions so they can change their behavior. Would you like to communicate directly with your animal? You can do that! Should I only work with one animal professional at a time? Probably not. Animal communicators focus on the personality, so to speak – thoughts, feelings, emotions, memories. Working with other professionals makes sense because each will provide suggestions from their area of expertise. Take a dog who pulls and barks aggressively on a walk. A dog trainer can teach how to manage the animal on a walk. I can help the animal understand how they should act on a walk, why AND let them experience how happy it will make their person feel when they do it! These professions include veterinary (holistic is a bonus), animal chiropractic. dog training, animal behaviorists, Traditional Chinese Medicine (TCM), homeopathy, aromatherapy and veterinary nutrition – check out the American College of Veterinary Nutritionists. How do you prepare yourself for a session? I take a few minutes to review and release any intruding thoughts and emotions; I envision putting them into a blue school locker for later. Then I do a scan of my body, noting anything that’s tight, painful or just off. I ask my body to release the sensation. If it doesn’t release, I note that. This way, I am clear about what is my issue and what is coming from the animal. I also sit meditatively with the picture of the animal to see what comes up. Usually it’s the essence of the animal, or a sense of how it’s feeling emotionally and sometimes physically. It’s a remote session; I do not need to be physically present. So I connect to the client via phone, Skype or Zoom (client’s choice). I start by explaining how I receive and send information and how we are partners in discovering what the information I receive means. I set an intention that we receive the clearest, most accurate information for everyone’s highest good. I say a short non-denominational prayer to further ensure we connect positively. I offer a visualization so my client can experience the theta brain wave, which may help them open their intuitive communication abilities with their animals. I connect to the animal and see how they show up. It seems like they walk into my office and hang out during the session. They might slink in, dance in, strut in – however they show up gives us information about how they feel. Then I ask what they’d like to share and start a conversation about what the person wants to talk about. If we find the animal has negative thoughts, emotions or memories, I will do energy healing to release them. Many times, we also do some emotional release for the person around the issue. Sometimes a body scan is a good idea. I share the sensations I pick up and where they are. We talk about what the person could do and say to emphasize whatever outcome they’d like to see. At the end, we thank the animal for talking to us. I tailor this to suit the purpose for the session – behavior changes, imparting of information, or end of life and other transitions. Tell me more about the body scans. I scan physical bodies to pick up areas that are troublesome. It’s not a medical diagnosis. It’s what a layperson might say if they were describing how they felt. It can give the animal’s guardian additional information to be aware of when they are working with their veterinarian or other healthcare provider. Don’t you have to look them in the eye (be physically with them) to connect? No, not at all. Remember, the connection is not physical, it is telepathic. I have found that my connection is much stronger doing remote sessions via phone/Skype/Zoom as physical distractions are minimized. Does the animal need to be physically present with the client? Nope. I’ve worked with a client in New Jersey whose dog was with her animal trainer cousin in North Carolina. Wherever they are, the animal can do whatever they need or want to. Including grooming… But there are times that their person will tell me they just started staring intently at them or the phone, as if they want us to know they are participating. That’s fun! I work with people who love their animals as much as they love the humans in their lives! These people are unapologetic about their animals being part of their family. People come to me when they are worried about their animal and want to find out what’s going on from the animal’s perspective. They want to see their animals’ behavior improve. Or they want to tell their animals about a change in their life – the humans are going on vacation (who will be watching them how long will they be out); they are bringing in a new family member; or a family member’s leaving. Finally, I work with people who wonder if their animals are ready to transition and want me to ensure the ending goes smoothly. Knowing that the animal is ready is extremely stress-reducing for the person. Telling the animal what’s going to happen and bathing them in loving, relaxing energy as they transition makes their last moments on this earth comfortable instead of scary. I don’t work with people who are absolutely sure there is no such thing as intuition or telepathy. Also, people who are not open-minded about energy healing are probably not a good fit. I don’t play well with people who want me to tell the animal to “straighten up and fly right.” It’s more complicated – both beings have free will. Change in behavior comes from a loving, respectful request from the person. And sometimes the person needs to be willing to change based on a request from the animal. What type of people do you work best with? What results are likely from a session? Results depend on your reason for working with me and how you view your relationship with your animal. Increased ability to communicate intuitively with your animal! We usually see an improvement in behavior after the first session. There can be missteps. But many clients become more in tune with their animal’s needs and desires and so they see progress continue. Physical issues are tricky. Animal communication and healing can make a positive difference. But people need to continue working with their healthcare providers. Yes. Here is a recent testimonial from the website. Also, check out the blogs. 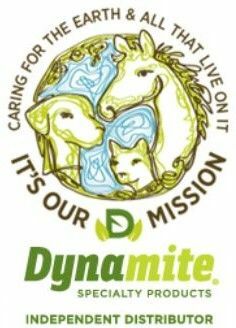 “When my trainer first mentioned that I should meet with an animal communicator, I wasn’t sure what to think or feel. I pride myself on being open minded, but this was a stretch. “That said, I was dealing with a dog with severe separation anxiety. If I didn’t resolve the issue, our future was bleak. I felt like it was a life or death situation and I was completely freaked out. “It was hard to be positive when I had been training her for 6 months already, and could only leave her alone for less than 20 minutes before she started destroying the house and injuring herself. “So what did I have to lose? My trainer spoke very highly of Maribeth, and told me success stories of other people who had worked with her, including herself. So why not?! “I told Maribeth I wanted to focus on both my dogs: Sakari, who had separation anxiety; and Rudy, my 16-year-old rat terrier who had been diagnosed with cancer 6 months earlier, and was given 6 months to live. “For skeptics like me, imagine how I felt when Maribeth indicated that Rudy was happy and healthy, with a very strong life energy. He wasn’t ready to go and he had a lot of life yet to live, she said. Part of me was happy and wanting to believe it, and part of me thought she was a little crazy. Fast forward 5 more months, and Rudy is still with me, feisty and happy as ever! Outliving every doctor’s prediction. “Where Sakari was concerned, I had been crating her since she hurt herself during one of her panic attacks. Both a certified behaviorist and my trainer recommended crating for her safety. Maribeth told me that she envisioned Sakari crawling toward her on her stomach, in a very dark place. I was horrified that my baby might feel this way. Maribeth didn’t think Sakari could handle confinement long-term. If we were to get through this, Sakari wanted more space. “Maribeth asked if I had any safety issues, as she was picking up on that. I immediately brushed it off with a defiant “No, everything is fine!” Two weeks later I realized the pervasive anxiety that moved through my own life; maybe that’s what Sakari was picking up on. One night I was having a bit of anxiety and couldn’t find Sakari. When I located her, she had her head under the bed in my bedroom. She was picking up on my anxiety! “I began working very hard on managing my own energy. I started meditating and being as conscientious as possible about my own anxiety and breathing. I made a conscious attempt to be calm, even if I wasn’t in the same room as Sakari. I am now convinced that she can pick up on my energy and these practices were key to her healing. “In response to the idea that Sakari didn’t want to be confined, I gave her access to a room upstairs, where she could look out a window. She loved it. Within weeks Sakari was improving rapidly, and within a few months I was leaving her home alone while I went to work. “Maribeth shared with Sakari that I was never going to leave her and she is safe with me. “Other people told me that separation anxiety was incurable, but we had overcome it! I am a believer that Maribeth has a precious gift. To this day, can I say what one thing caused us to overcome this terrible time? No, but I firmly believe that Maribeth had something to do with it. What is your favorite thing about your ability to talk to animals? I love seeing families enjoying each other’s company more when behavioral and emotional issues are getting resolved. And when I help a family through a transition and feel the love and peace knowing everything is OK, I melt. It’s beyond wonderful! OK, I’m ready! How do I work with you?